For people who obsessively wash their hands, Dr. Jamie Feusner would suggest imagining a worst-case scenario to learn to tolerate the feelings they experience. 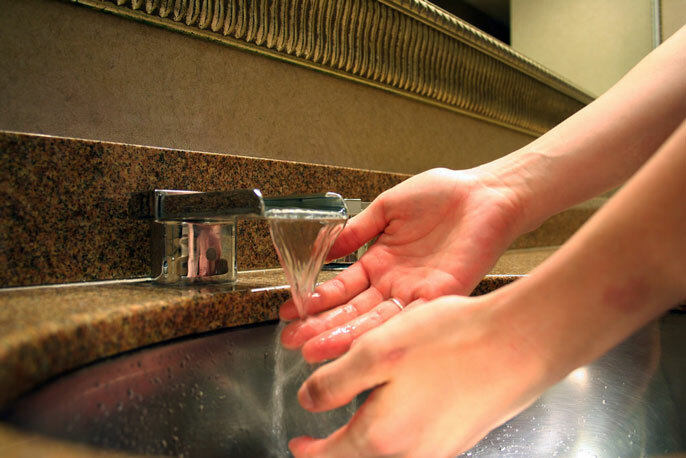 Excessive hand washing, out of a fear of contamination or germs, is one of the most common and best-known examples of obsessive-compulsive disorder, or OCD. Though OCD can’t be “cured,” symptoms can be significantly reduced through cognitive-behavioral therapy, a type of psychotherapy. Cognitive-behavioral therapy, or CBT, can be challenging for some people with OCD. Therapists may expose them to experiences that require them to directly confront their fears by performing tasks that cause anxiety or even disgust. For example, one effective treatment for excessive fears of contamination might involve putting your hands on the floor of a public restroom. Feusner and Nicco Reggente, a UCLA Ph.D. candidate, recently published a study showing that by feeding brain imaging data into an artificial intelligence algorithm, they could predict which people with OCD might benefit most from cognitive-behavioral therapy. One aim of the study was to figure out who could be spared the expense — and stress — of therapy that was unlikely to work for them. “Exposure and response prevention” is the name for the technique used in cognitive-behavioral therapy for OCD. “Exposure” refers to a specific exercise, or assignment, that intentionally evokes anxiety, disgust or other distressing emotions in patients. This helps them learn how to better endure or tolerate those feelings, which, additionally, often decrease in intensity over time and with repetition. “Response prevention” refers to reducing and eventually eliminating compulsive behaviors, such as repeated hand washing. Feusner doesn’t want them to talk themselves out of their anxiety. So he might say, “Actually, I’ve seen a lot of really sick patients today using that doorknob.” He wants them to imagine a worst-case scenario, experience their feelings without trying to get rid of them, and understand that they can tolerate it. Much of the session is spent in silence; chatting is a distraction. After a bit of time — a few minutes up to a half hour — the person with OCD often realizes she or he doesn’t feel as anxious. At the end of the session, Feusner assigns “homework,” such as resisting the urge to wash their hands the rest of the day. The restroom floor exercise, for example, enables the patient to “generalize” an extreme experience, and apply what they have learned to situations that are more typical, since even people without OCD do not usually like to touch a bathroom floor. Such a challenging exposure that goes above and beyond makes a lot of other situations seem easier; touching a door knob suddenly becomes a minor problem, said Feusner, who is also a professor-in-residence of psychiatry and biobehavioral sciences in the David Geffen School of Medicine at UCLA. For people with OCD, UCLA offers an intensive cognitive-behavioral therapy program, with a compressed schedule of five days a week for six weeks. Their recent study, in which they were able to predict which people with OCD might benefit most from cognitive-behavioral therapy, could take a lot of the guesswork about what treatments a person should try, Feusner said.